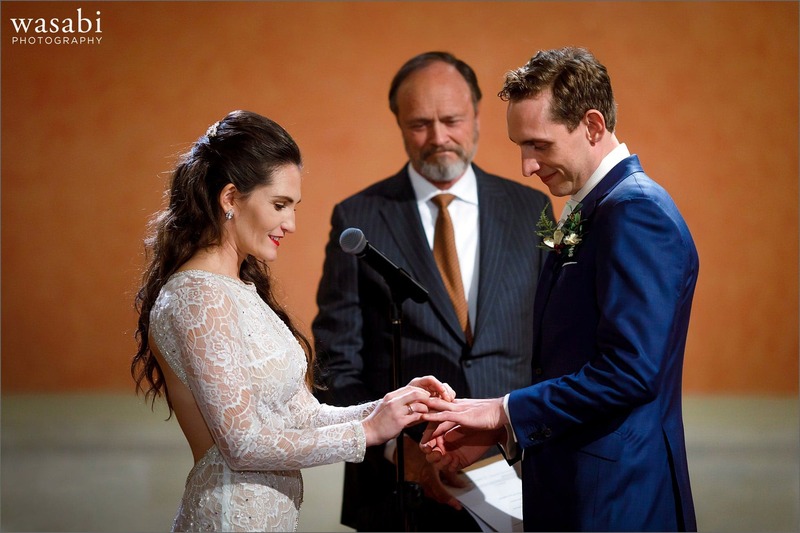 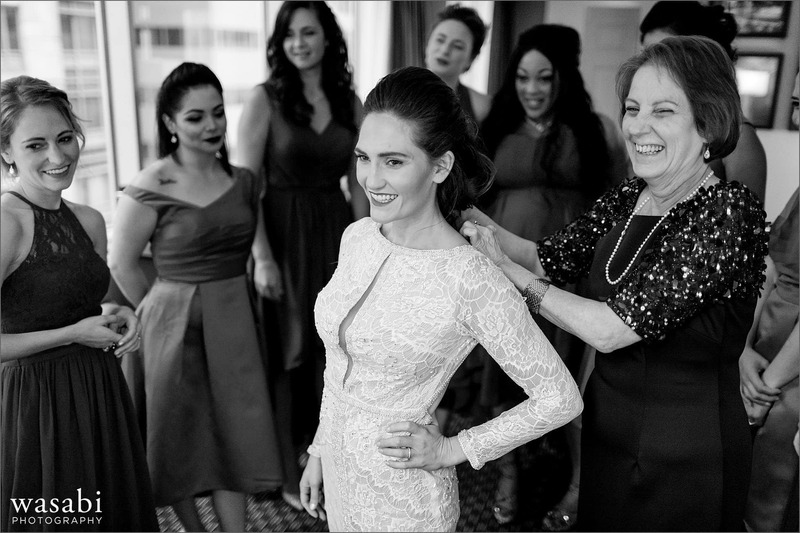 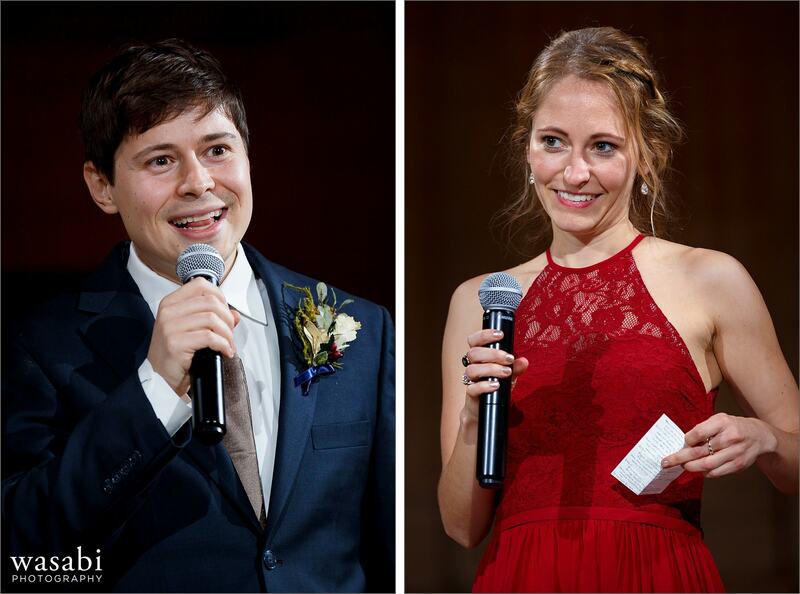 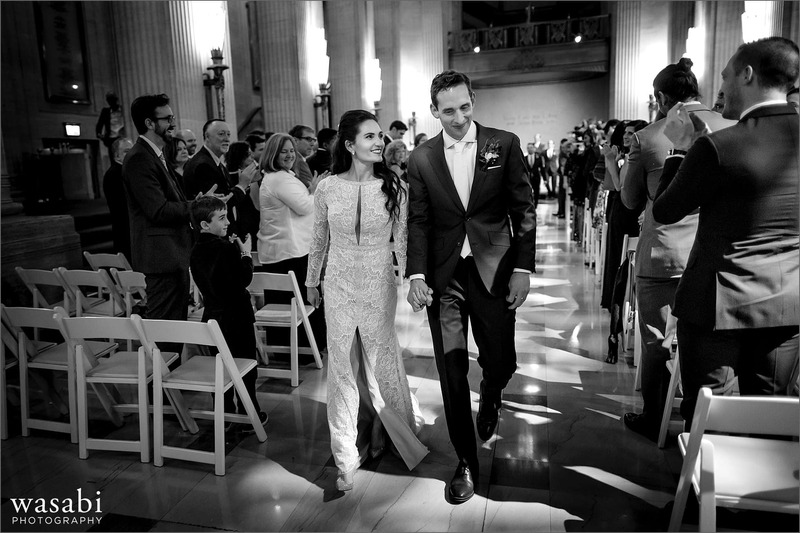 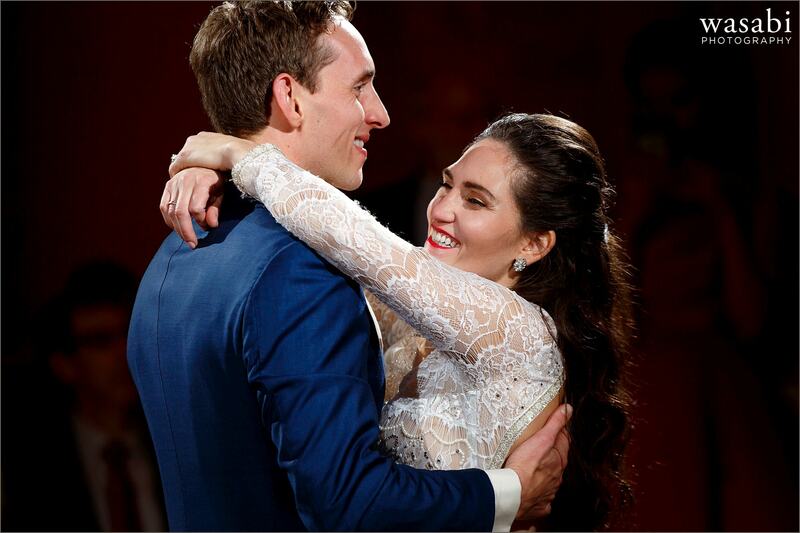 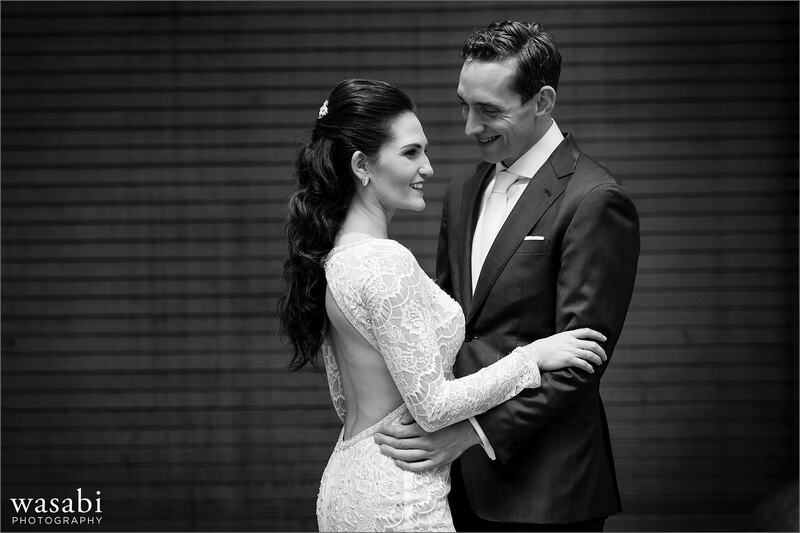 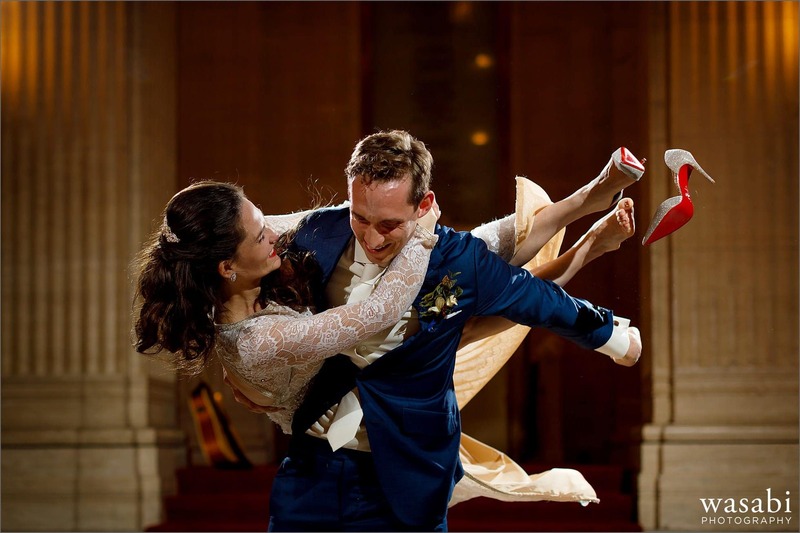 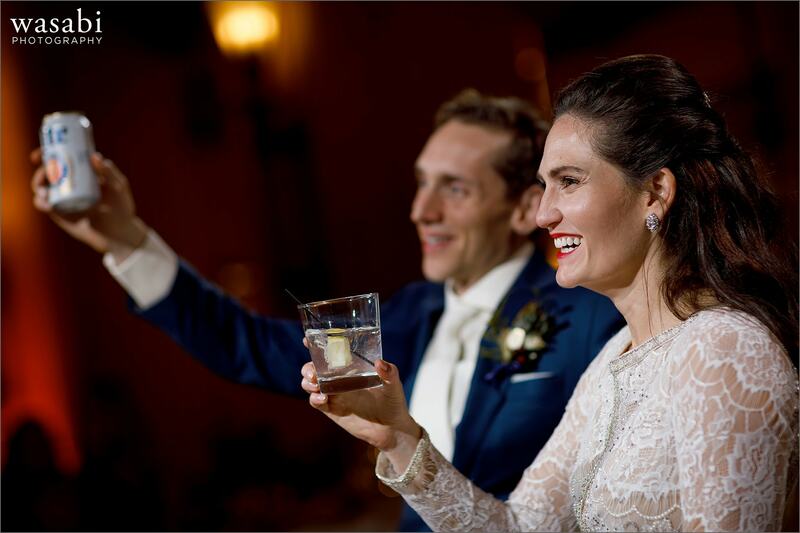 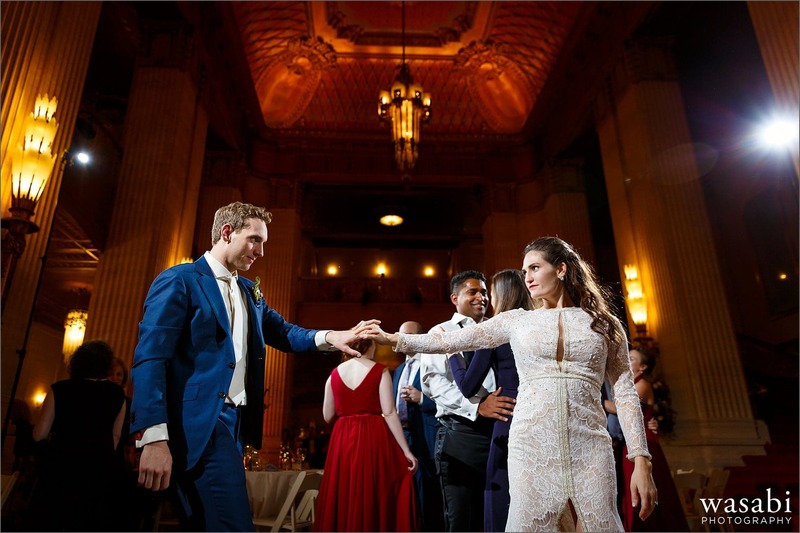 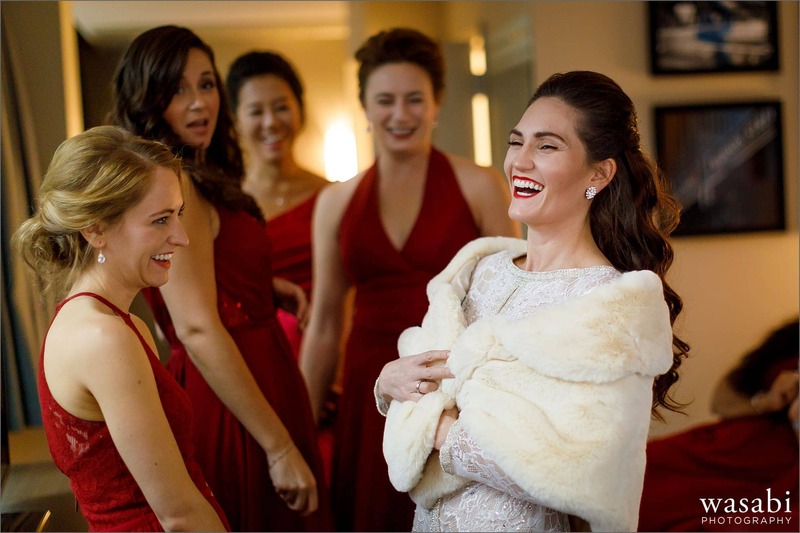 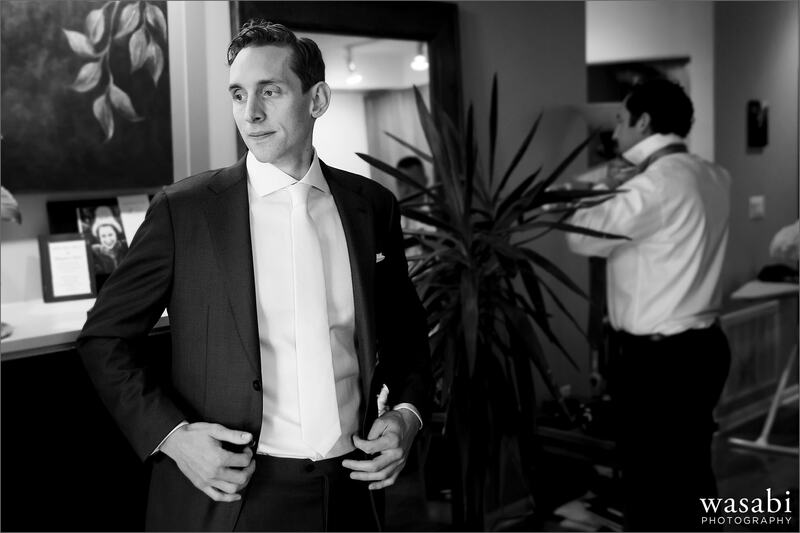 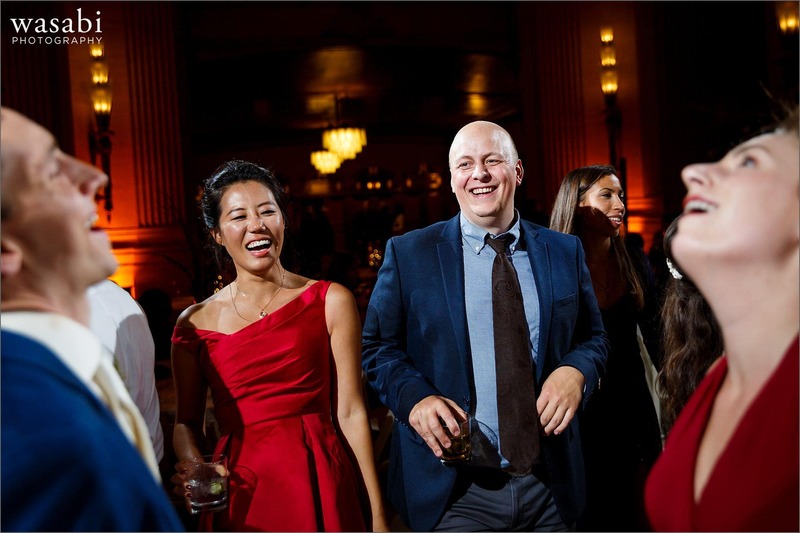 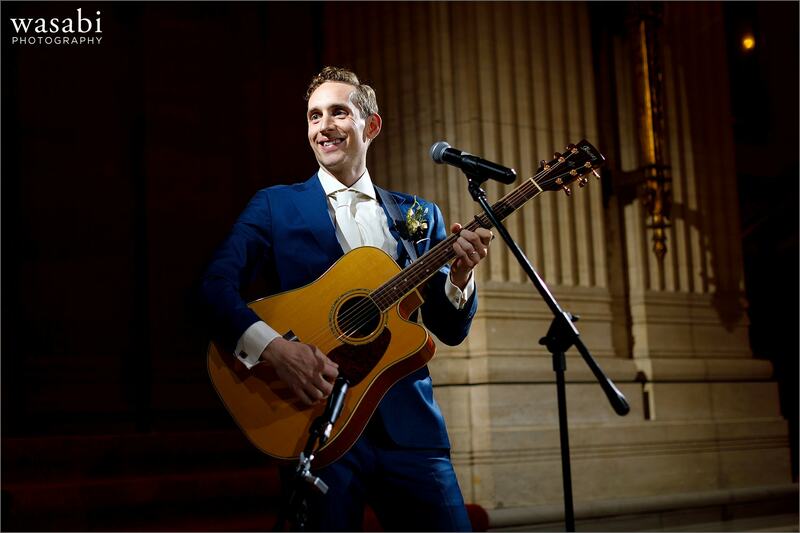 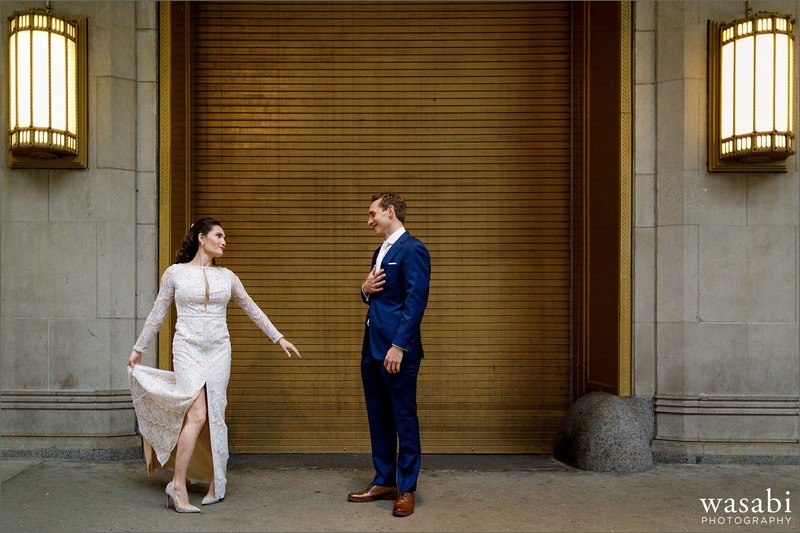 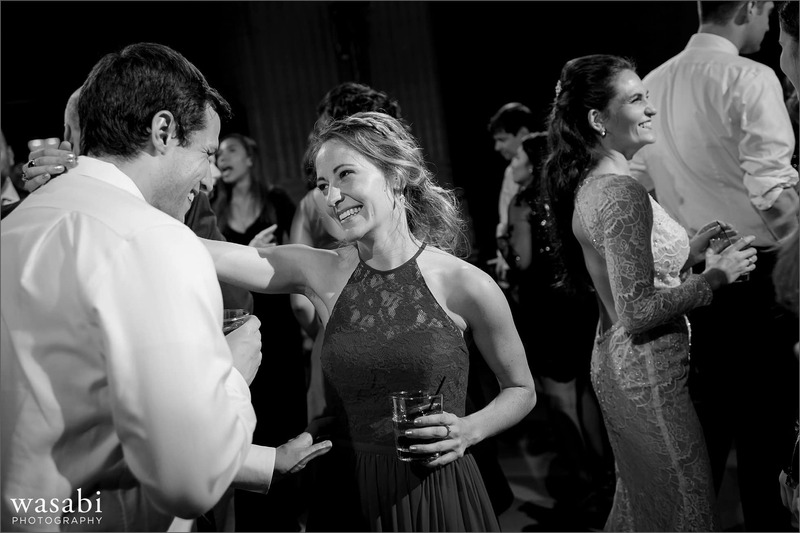 Kelly and Elliott’s Lyric Opera House wedding was classic, elegant and so much fun! 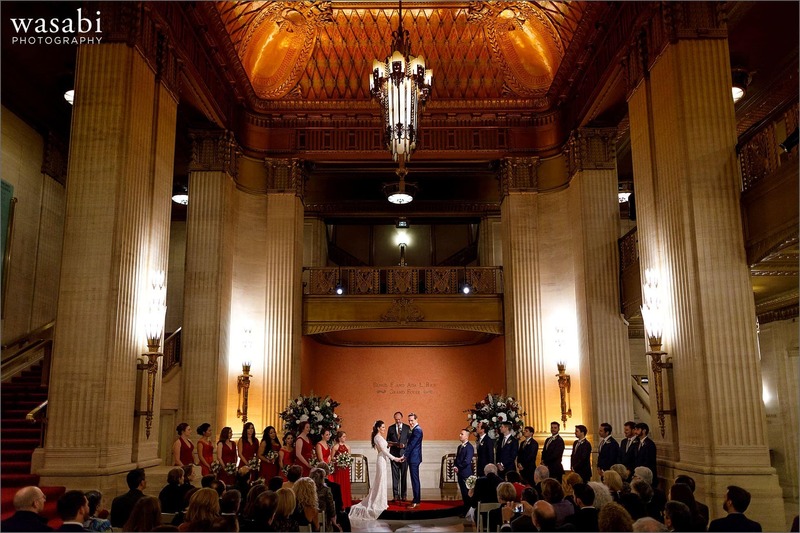 The Civic Opera Building is truly one of Chicago’s most beautiful spaces. 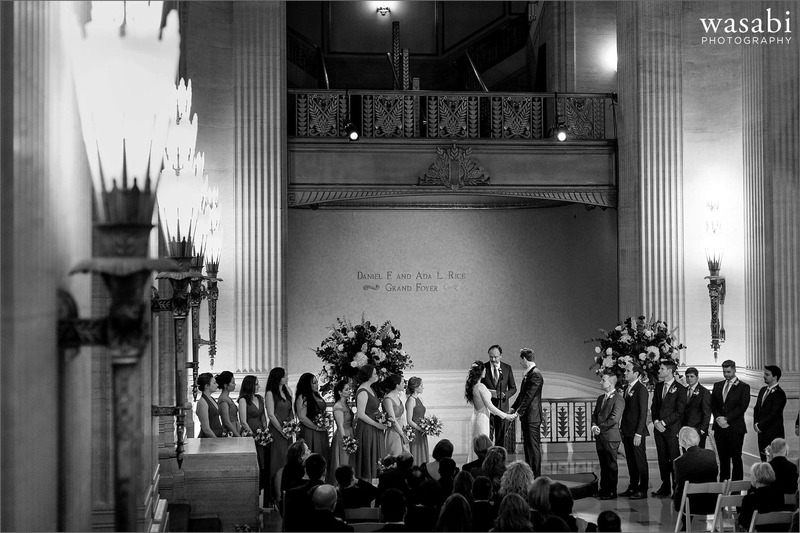 I shot an engagement session in the Daniel F. and Ada L. Rice Grand Foyer a few years back, and had been hoping to get a chance to photograph a wedding in the space ever since then. 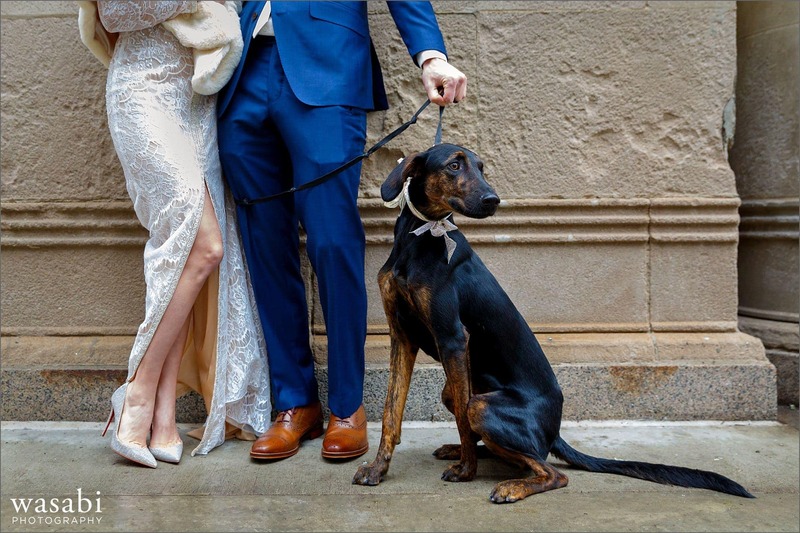 Kelly & Elliott (and their pup Athena) “rocked” their West Loop rock climbing engagement session earlier this year so I knew their wedding day was going to be amazing. 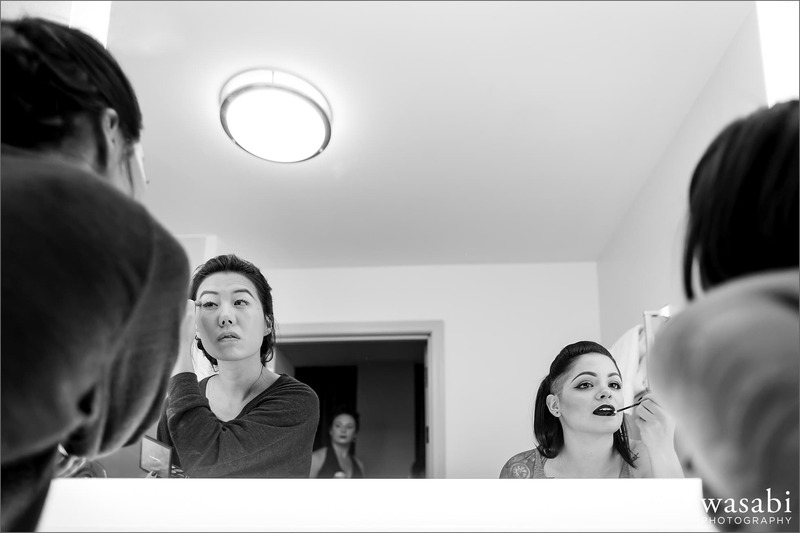 Kelly and her bridesmaids got ready around the corner at the La Quinta Inn Downtown. 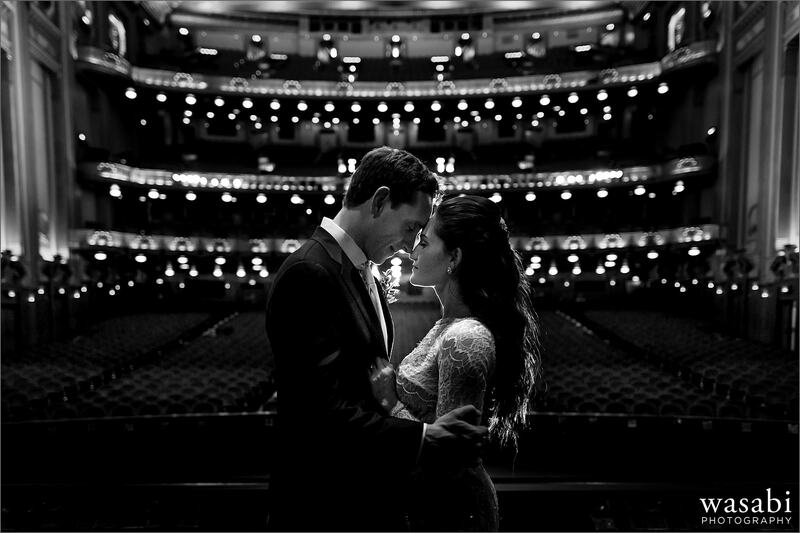 We were in the corner suite so we not only had a view of the Opera House but we had good window light despite a bit of an overcast day. 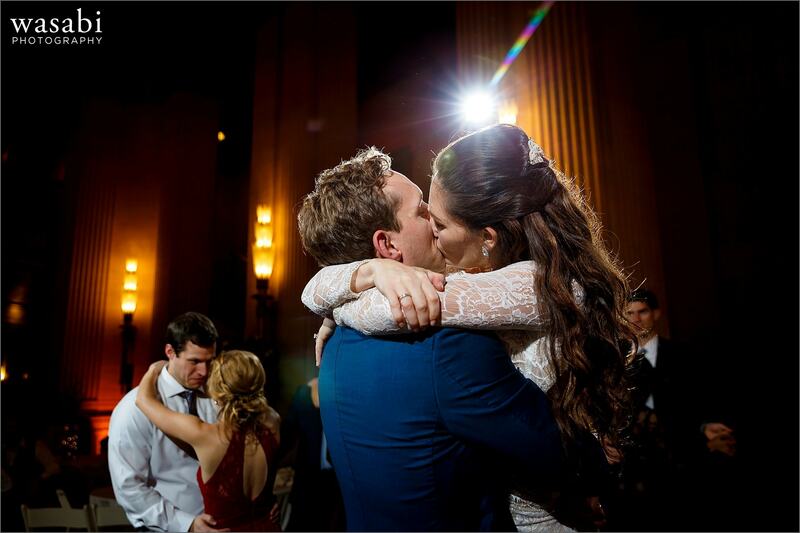 Note to couples: Always request the room with the maximum amount of window light! 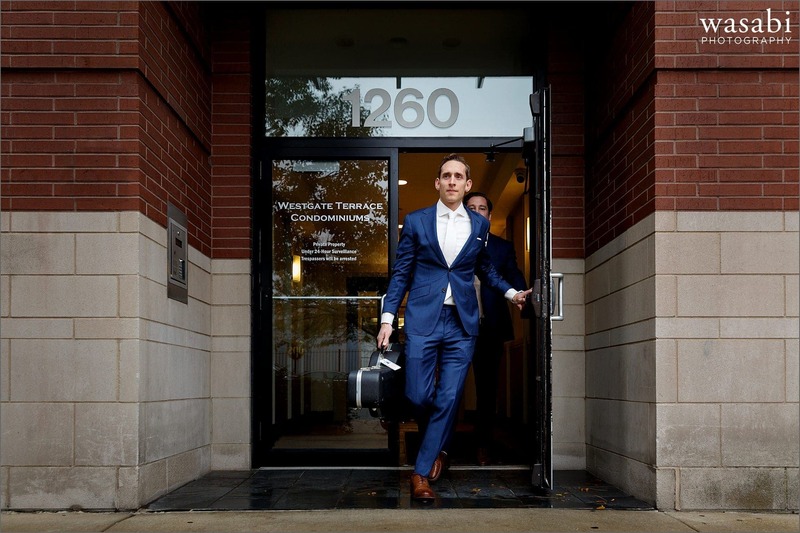 Meanwhile, Justin started with Elliott at the couple’s west loop condo with the guys getting ready. 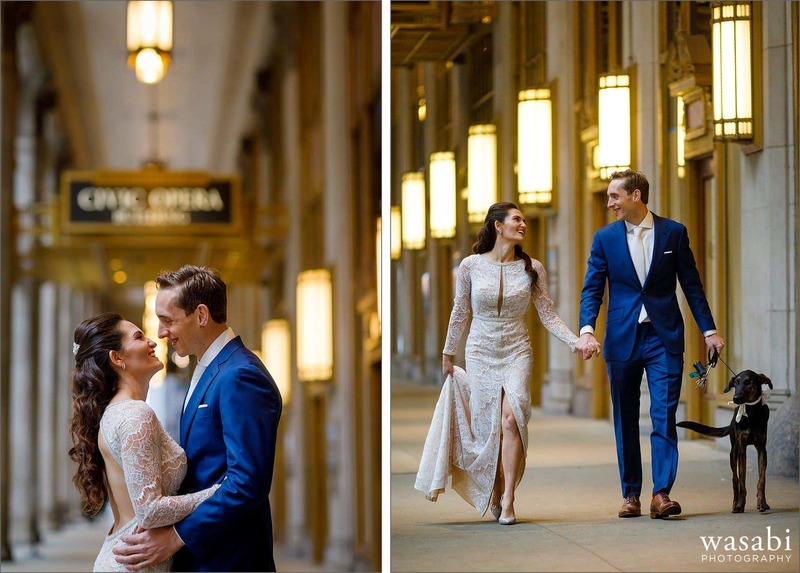 Thankfully the Civic Opera Building has a great covered area that we took advantage of for the first look. 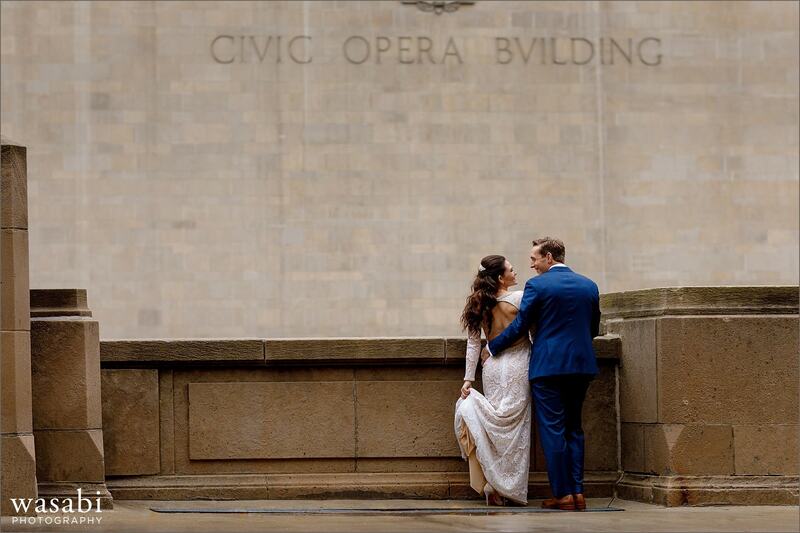 I think every Chicago Wedding Photographer knows about this spot on rainy days! 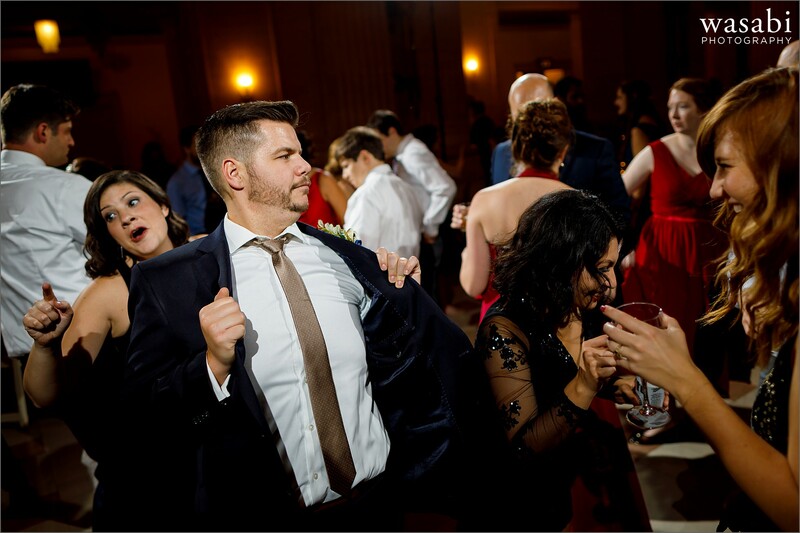 Elliott’s reaction to seeing Kelly spin around in her dress was awesome. 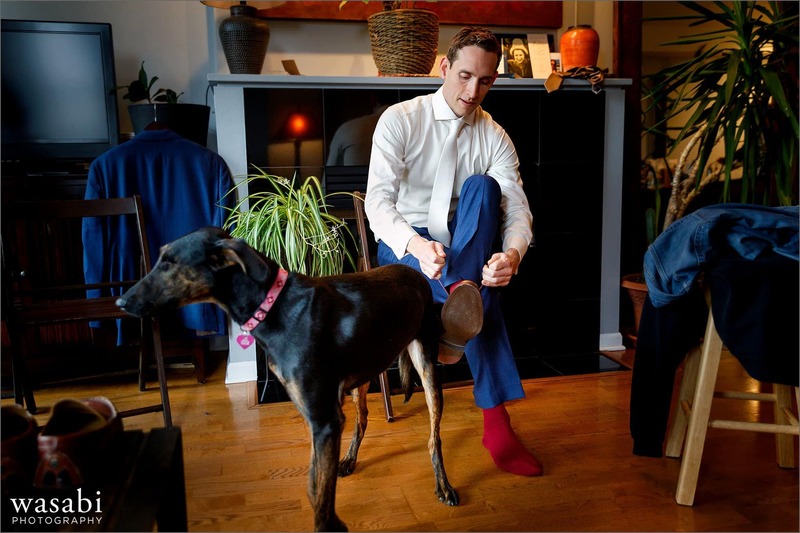 From there we went straight into some portraits with the two of them before Athena joined the fun again. 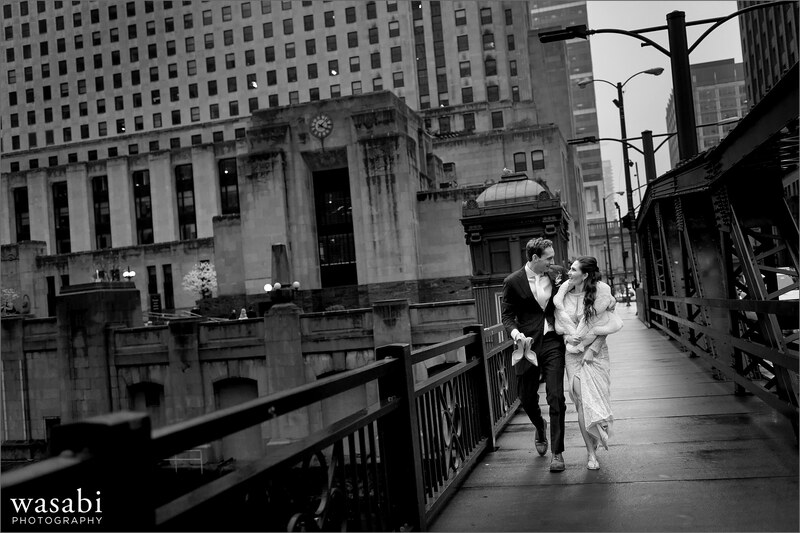 We pulled in the wedding party for some group photos and then headed across the river for a couple more portraits. 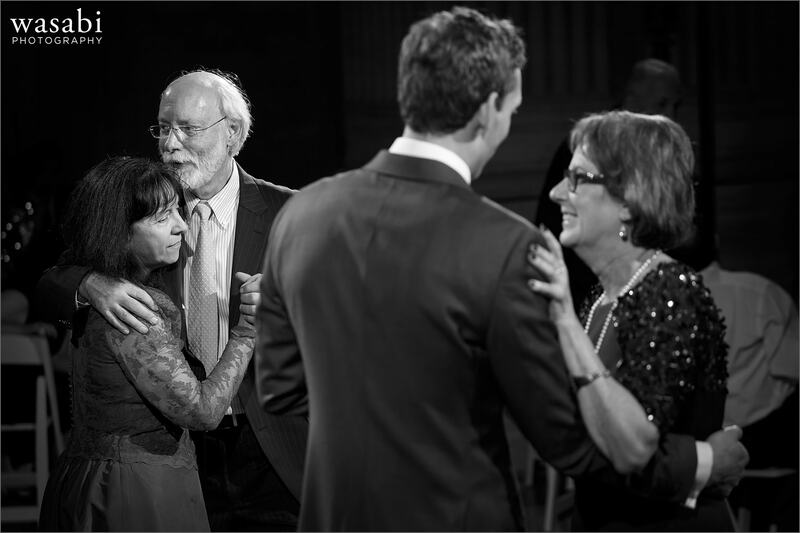 We also had time for family photos in the grand lobby before the ceremony. 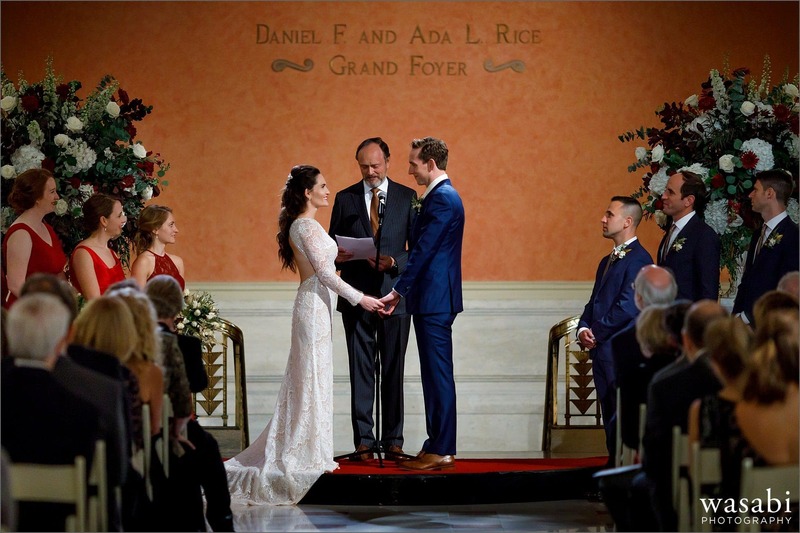 The Daniel F. and Ada L. Rice Grand Foyer is an absolutely gorgeous space for a wedding ceremony. 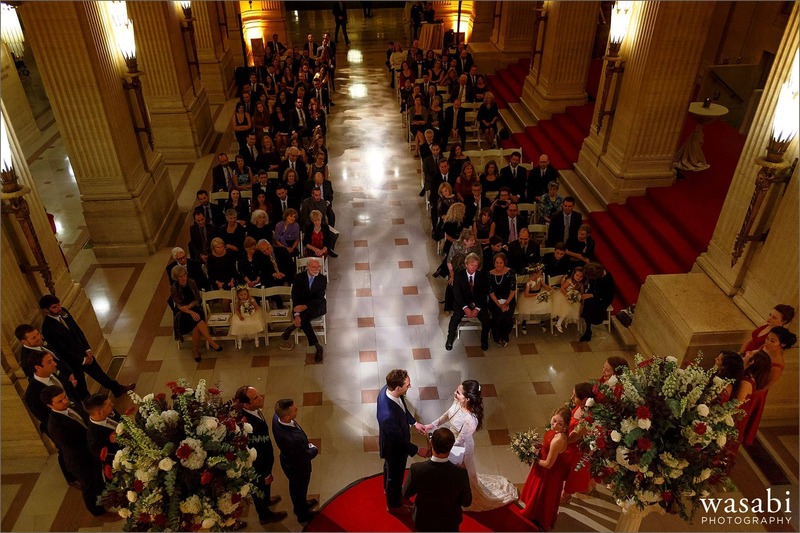 With balconies around around three sides and the beautiful red carpet staircase there are epic photos everywhere. 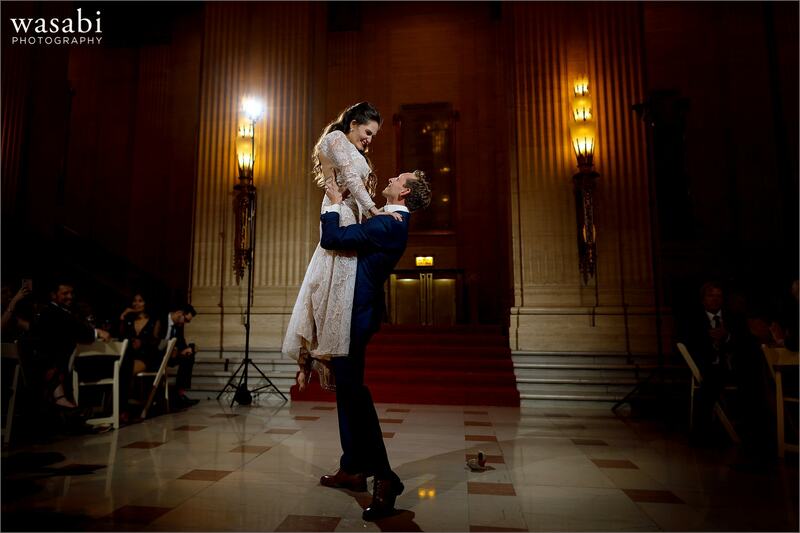 It took the two of us, plus a remote camera to get all the angles covered! 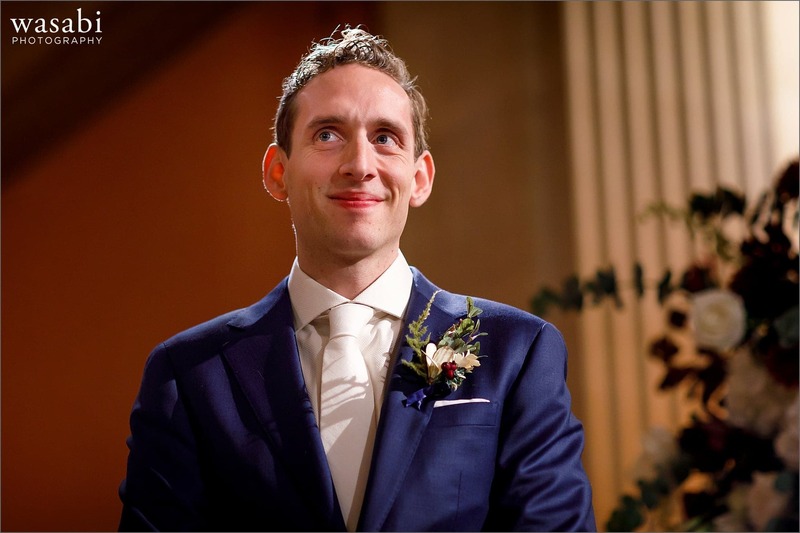 The couples friend, Robert, officiated beautifully. 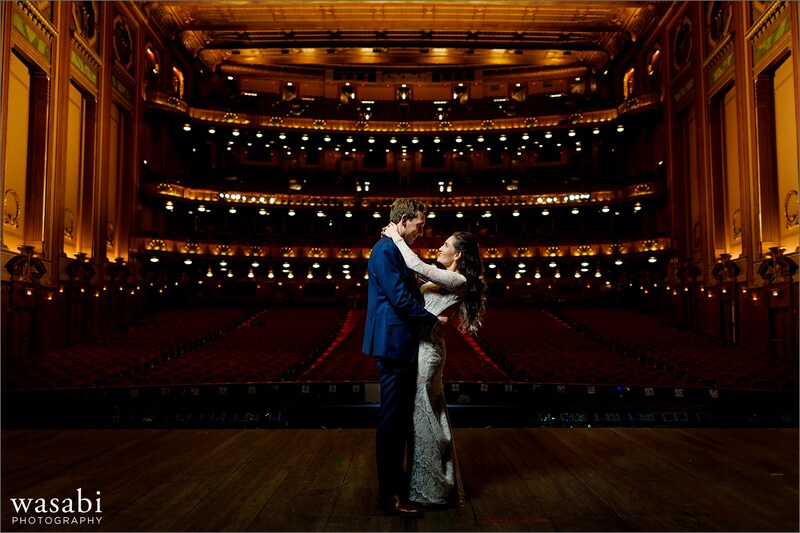 Following the ceremony, we found some time to duck into the actual theatre for a few portraits on the stage. 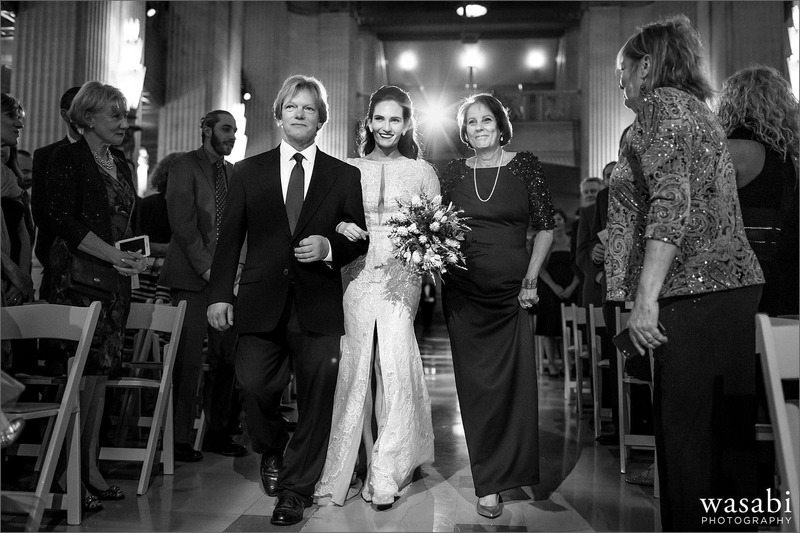 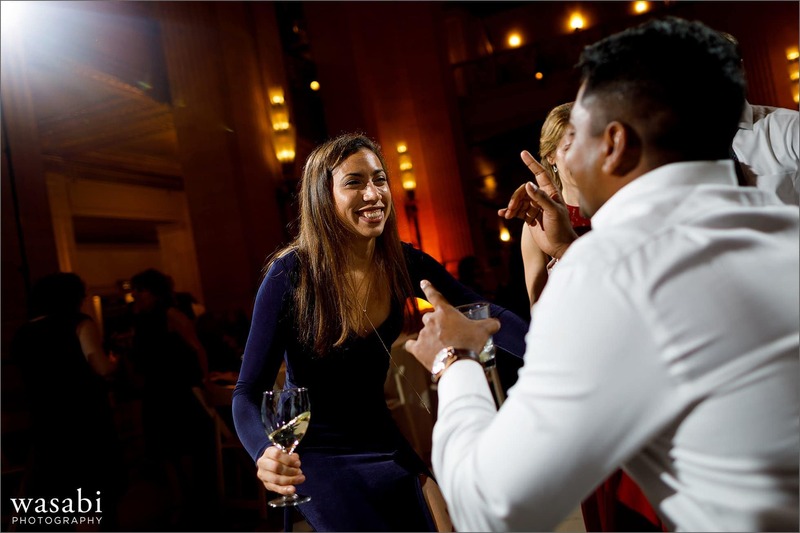 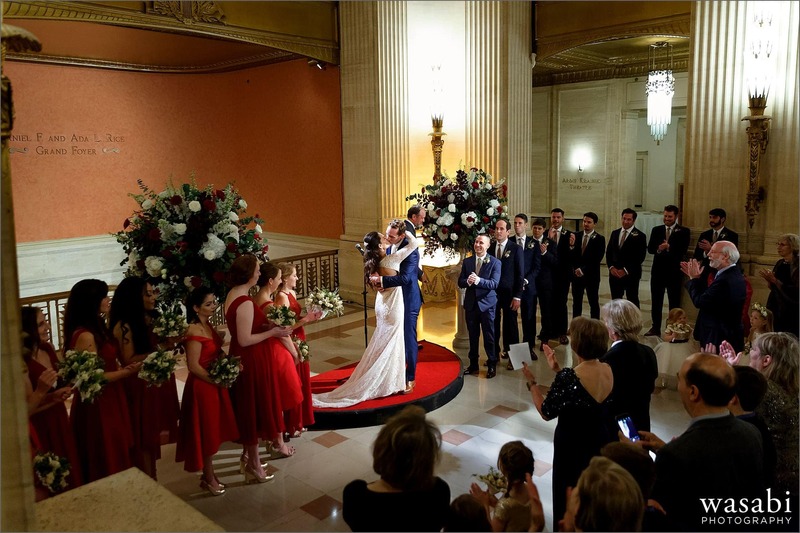 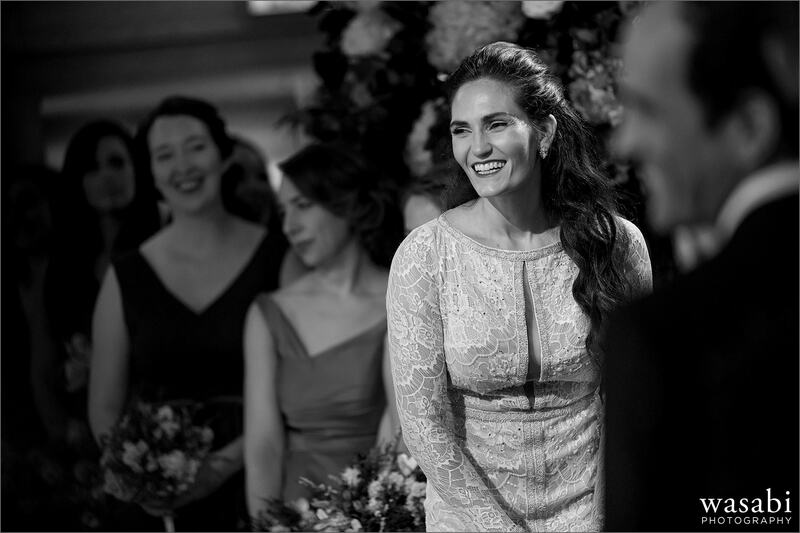 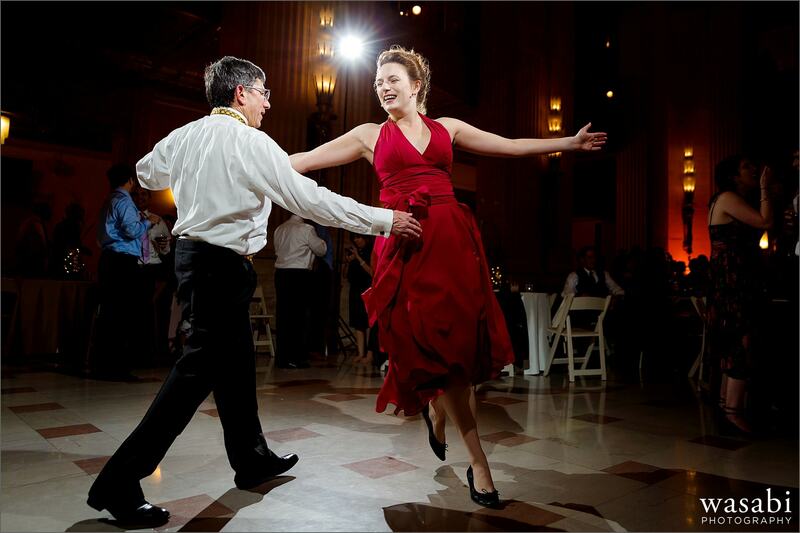 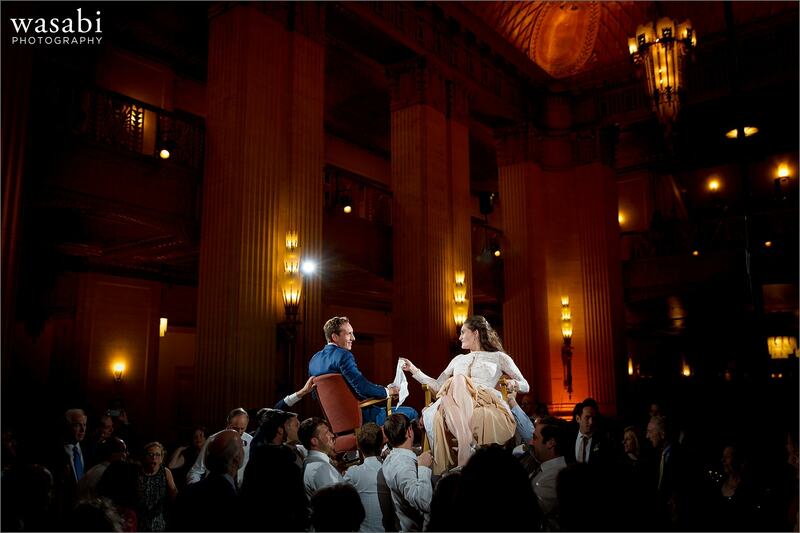 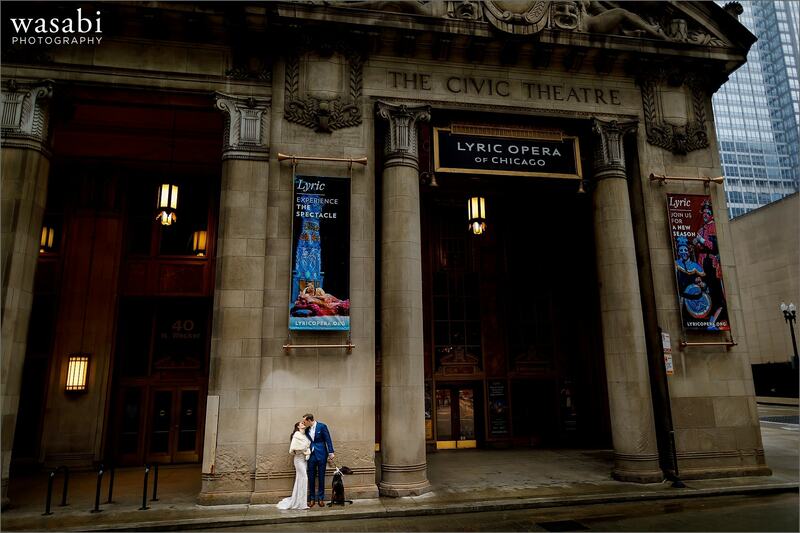 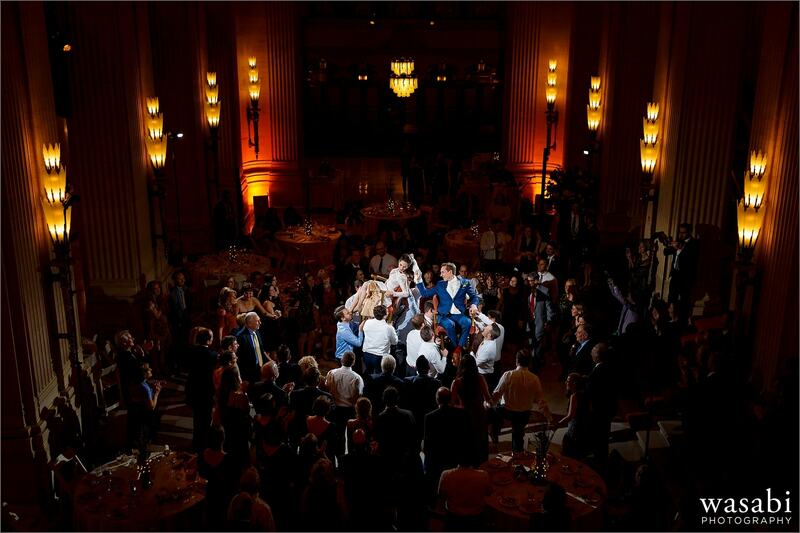 I love Chicago loft weddings, but seriously, Lyric Opera House wedding photos are at the top of my list! 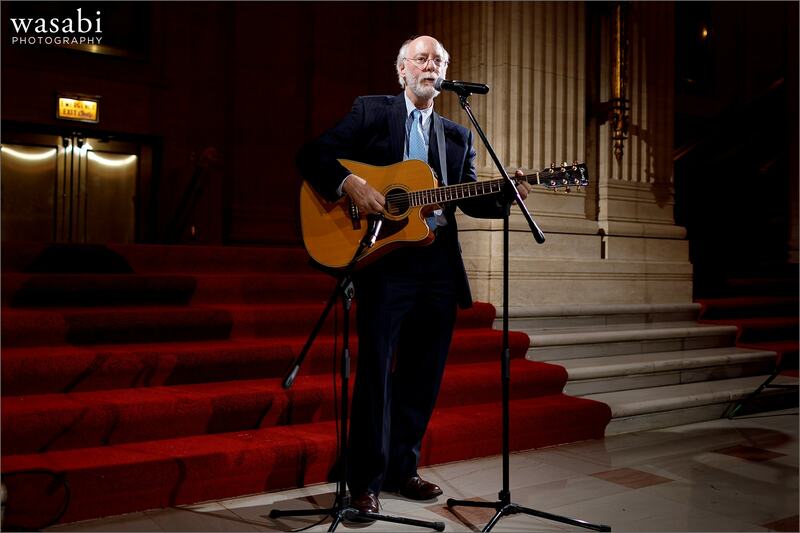 After cocktail hour and dinner it was time for toasts and a special musical performance by Elliott’s father and Elliott himself. 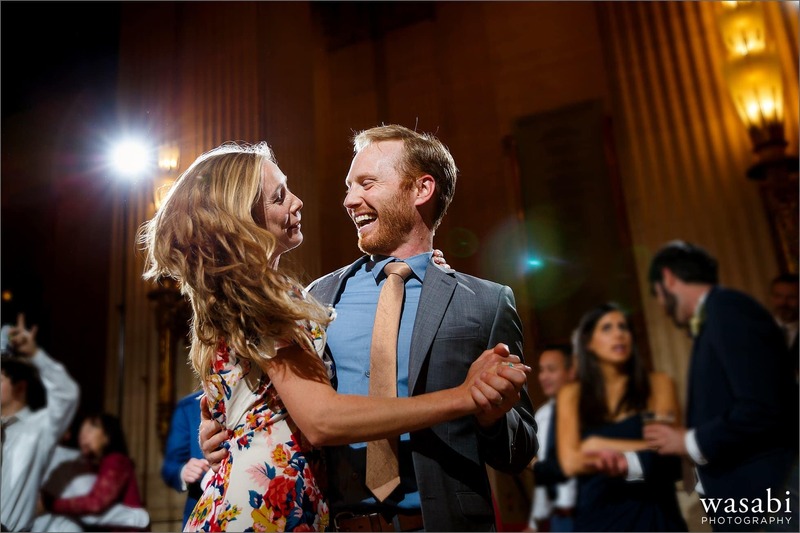 As if that wasn’t enough, Kelly and Elliott wowed everyone with their first dance that featured some of their tremendous talents. 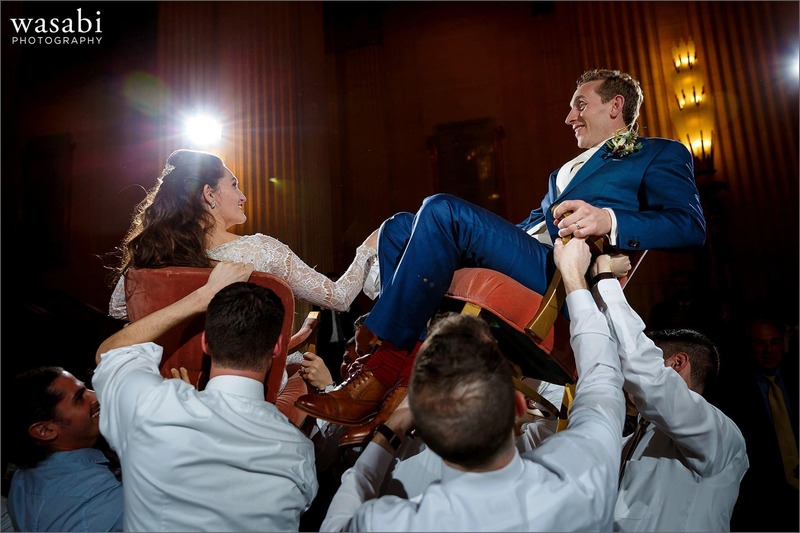 Between the lifts and spins, Kelly lost a Louboutin – making one of my favorite photos of the year. 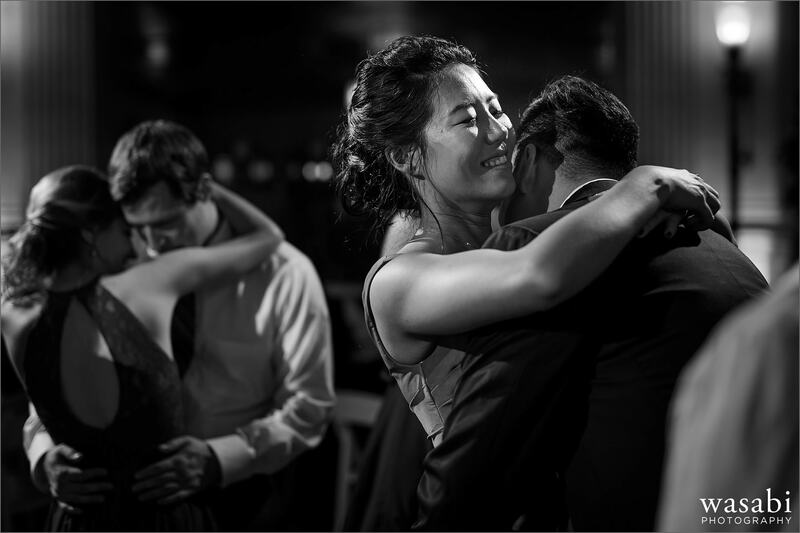 The couple then shared dances with their parents before they were hoisted into chairs for the hora. 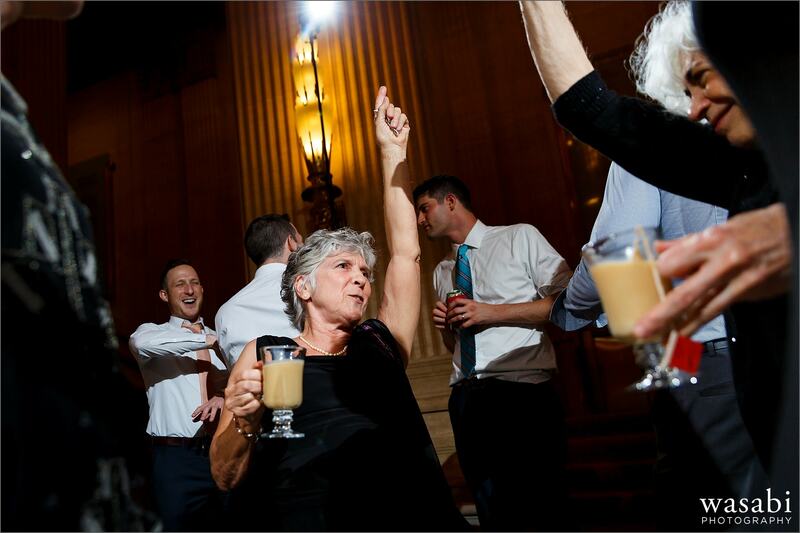 We finished the night on the dance floor with Just Press Play providing the jams. 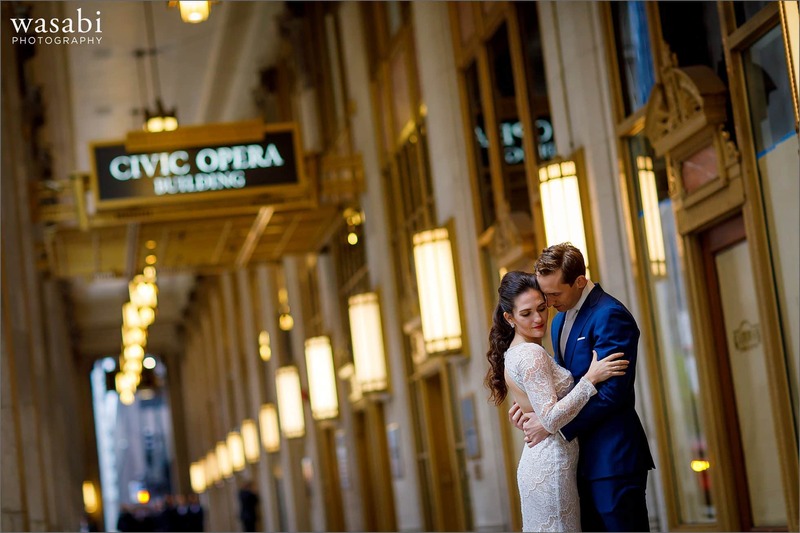 Thanks to Kelly and Elliott for an amazing day and trusting us to document your Lyric Opera House wedding. 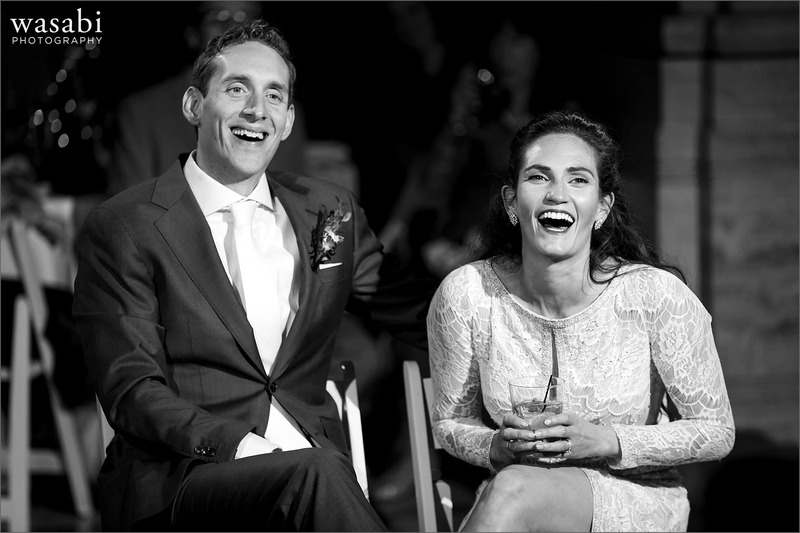 Justin and I loved spending the day with you and your families!